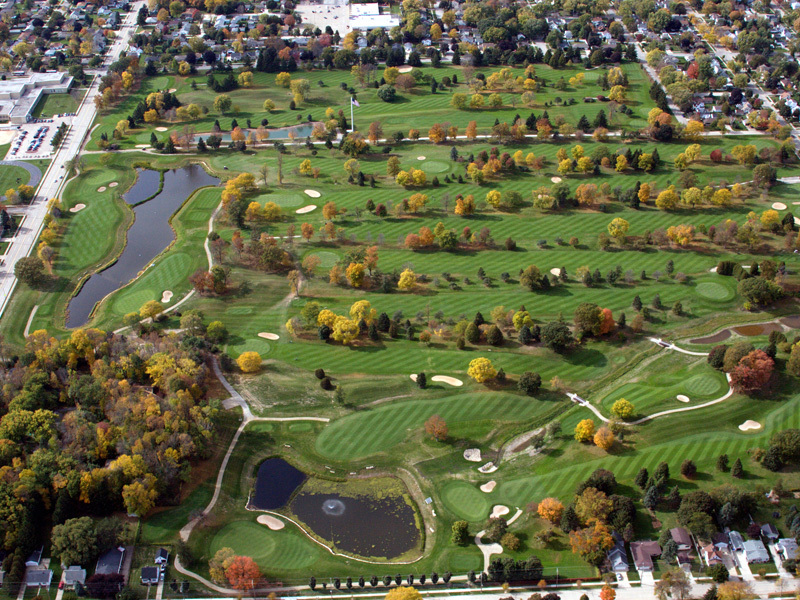 Surrounded by urban development, Reid GC for many years had gathered overflow from the paved streets all around it and ultimately delivered that water into the Lower Fox River. 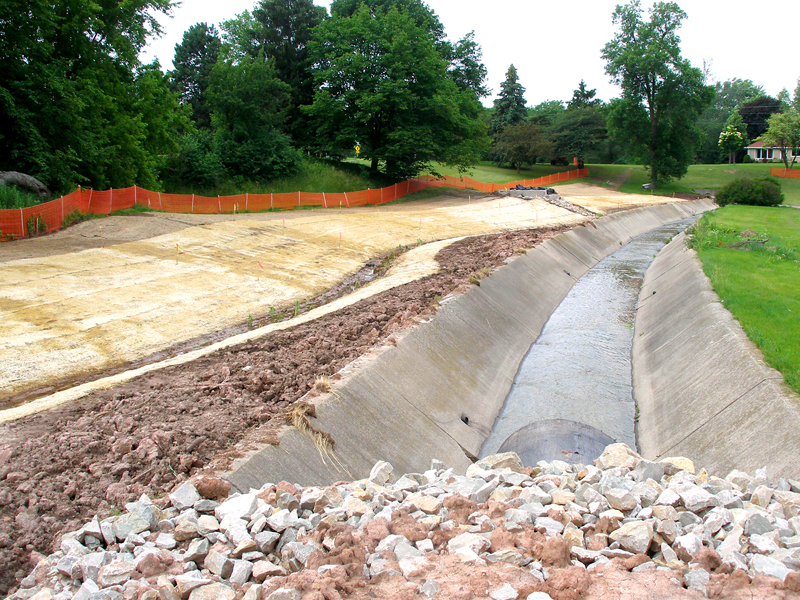 Two problems: First, not enough water was actually making it downstream in an efficient manner, resulting in all sorts of localized flooding. 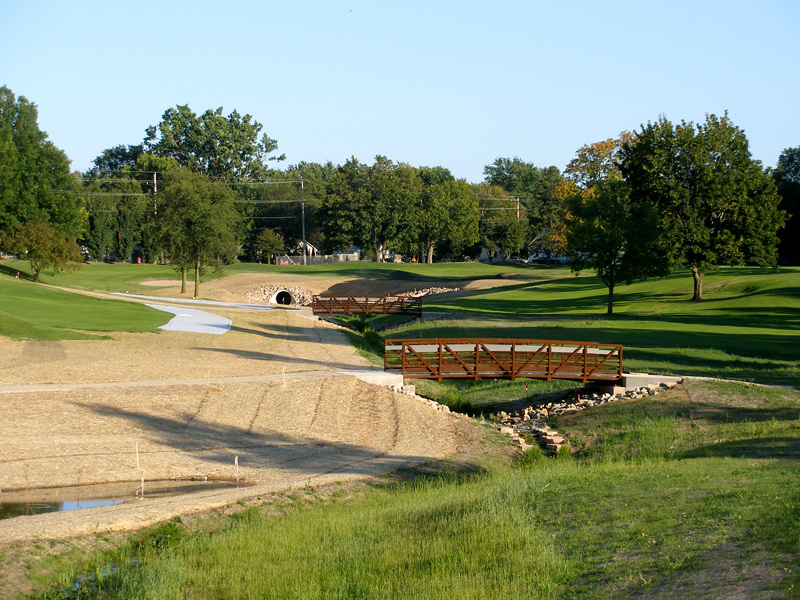 Second, the water that did reach the Fox River did not meet new state standards for water quality. 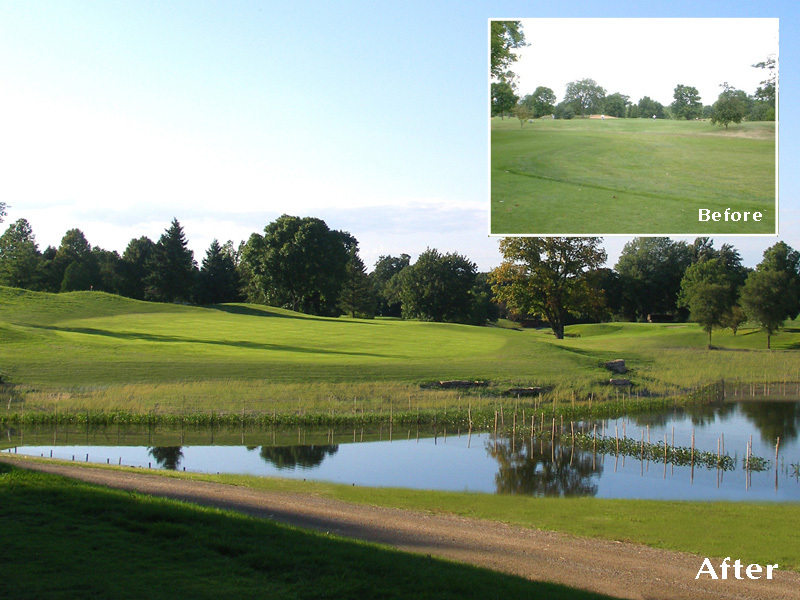 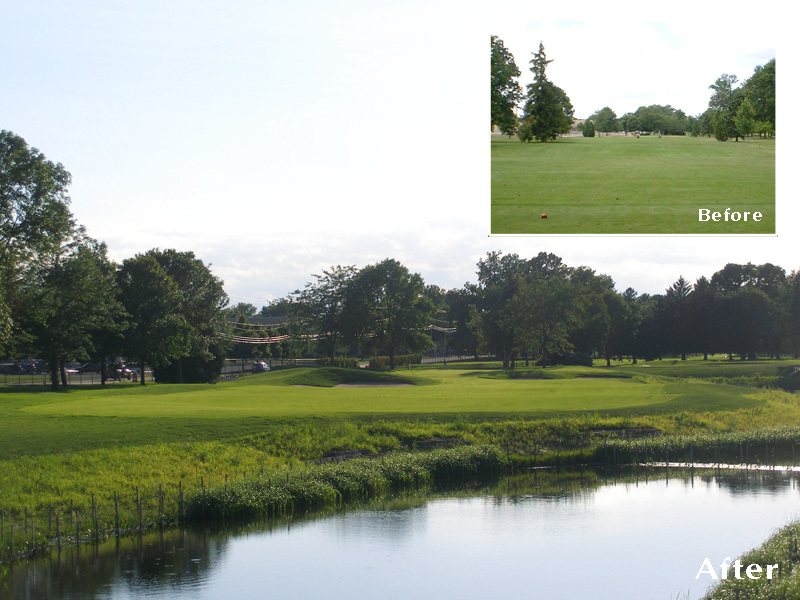 Lohmann Quitno (and engineer AECOM) managed to solve this issue and upgrade several golf course holes at the same time, while still maintaining course character and playability. 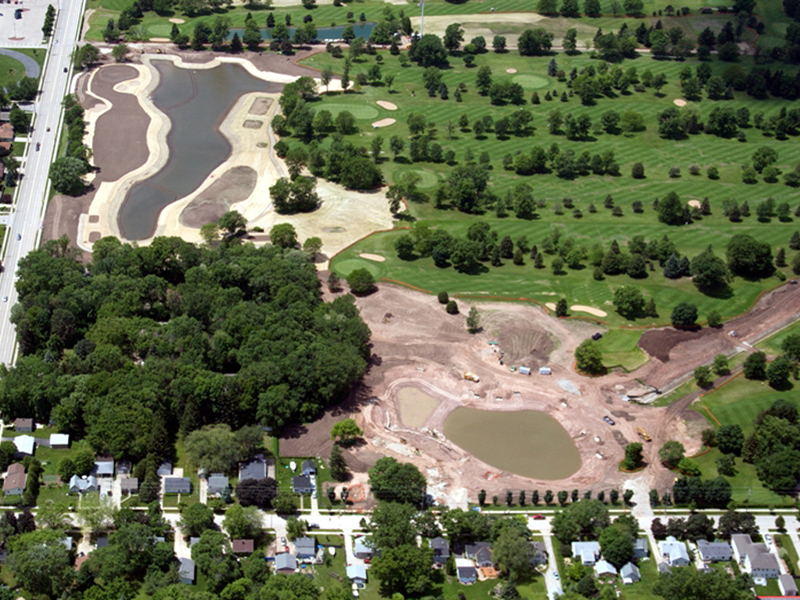 The channel passing through the course was naturalized, hugely expanding Reid’s retention capacity by creating four acres of new ponds — or nearly 50 acre-feet of new storage. 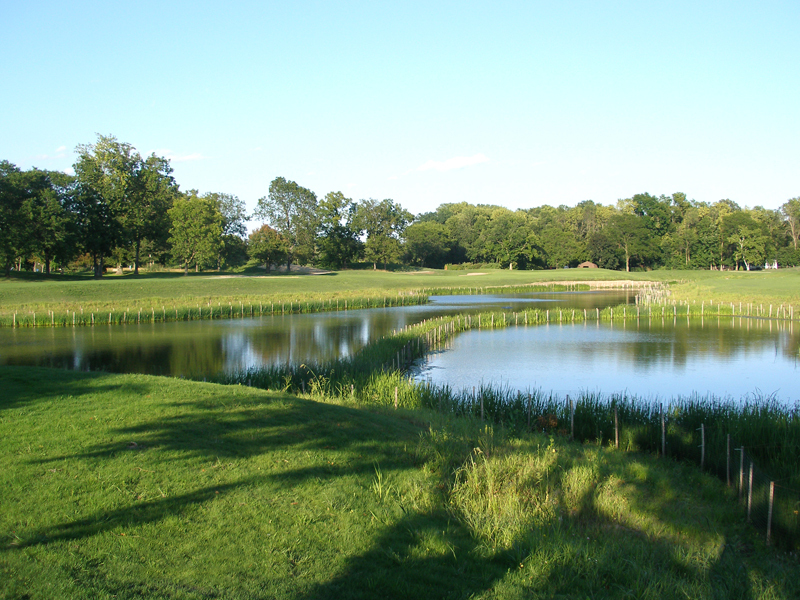 By creating what is essentially a giant wetland, the ponds act as a giant filtration system that cleans up that storm water as it passes through the course before heading downstream. 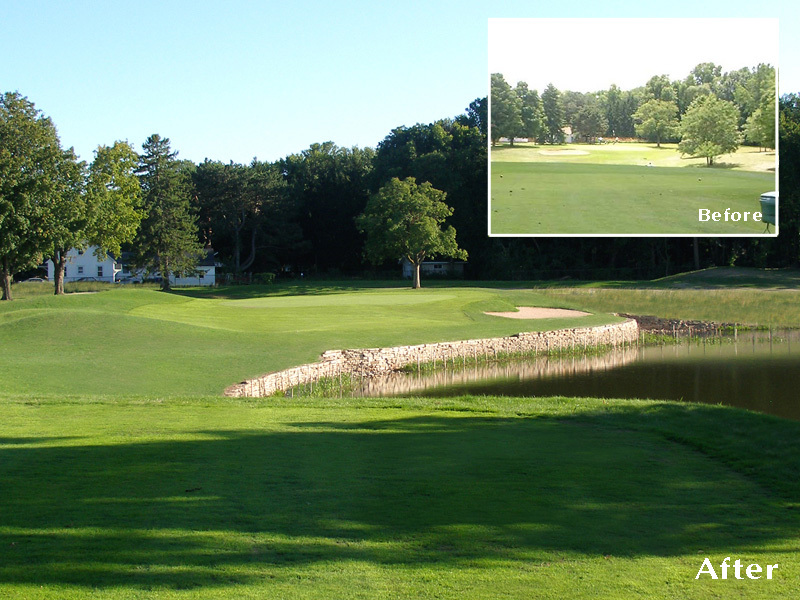 On the four or five directly affected holes, we rebuilt four greens and the equivalent of four fairways, moving them to maximize spatial relationships and improve risk-reward strategies at the edges of all these new water hazards.